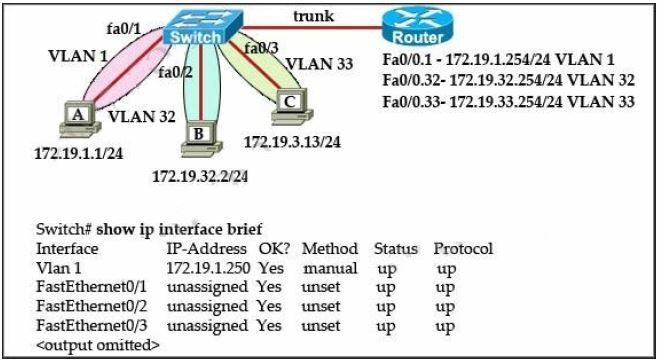 The network administrator normally establishes a Telnet session with the switch from host A. However, host A is unavailable. The administrator’s attempt to telnet to the switch from host B fails, but pings to the other two hosts are successful. What is the issue?